A mid-sized company that stands for innovation has reached a prime age. For twenty years, we have kept our finger on the pulse of technical development and deliver tailor-made solutions for our customers' present as well as for their future. 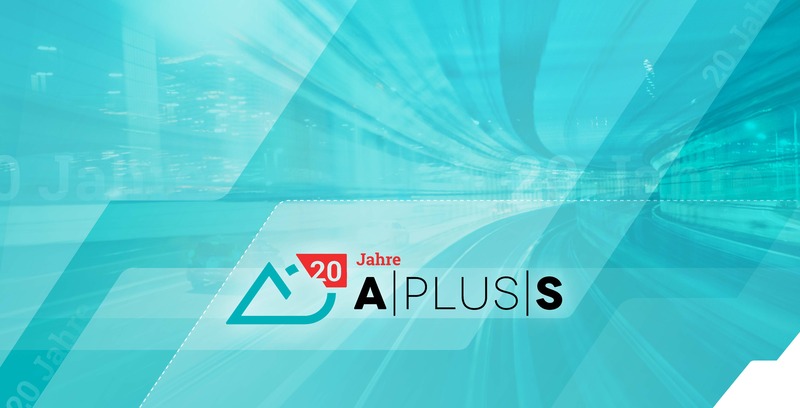 On the 29th of June, employees, customers and long-time national and international partners of A+S met in order to celebrate the company's 20th anniversary together. The head mayor of Dresden, Dirk Hilbert, did us the honor of opening the ceremonies in the ceremonial hall of the company headquarters. In his remarks, he mentioned several projects in which A+S cooperated with the Saxon state capital and its partners to the advantage of the city. In addition, Prof. Dr. Dietze (former head of the Road and Civil Engineering Office and professor at the Faculty of Transport in the Excellence University TU Dresden, as such he delivered greetings from the Dean) and Dr. Richter (Head of the Department of Economic Development Saxony - a subsidiary of the Free State) also held ceremonial speeches in which the company's dynamic development was acknowledged. Guests of honor included professors from the TU, BU, HTW Dresden and Dr. Rohde, MD a.D. as well as one of the architects of the German Reunification Treaty and father of infrastructure development under Prof. Biedenkopf in Saxony. In his welcome speech, Managing Director, Dr. Veit Appelt, gave insight into the company's history since 1998 and presented particularly outstanding projects and cooperations on a national and international level on four continents. He was particularly proud of new projects such as the current large German BIM projects in North Rhine-Westphalia, Baden-Württemberg, Hesse and Bavaria, among others, and the contract for the Ukrainian national transport model with the French company egis. Furthermore, the new A+S Umwelt Energie in Berlin was presented. The new company strategy, the new A+S corporate design and employee development were also brought into focus. Gifts were expressly waived at this time. Instead, A+S asked the guests to support two projects in Dresden: DEREVO Dance Theater and the reconstruction of the Palais Oppenheim. After the official part with musical accompaniment with works by Back, Shostakovich and Khachaturian, the festivities continued in ideal weather in the company's own garden. Other guests joined them as well as the family members and children, whose number at A+S exceeds the number of employees. As every year, the children's circus and theater, the Luigi Ice Cream Mobil and the crafts and make-up of the clown Murmel were provided for them. The adults could experience a culinary show from the Villa Marie/La Villetta with live music at an open fire and celebrated until late in the night.